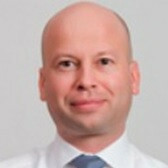 CEO & Representative Director, CANADIAN SOLAR ASSET MANAGEMENT K.K. In February 2007, Mr. Aerts moved to Hong Kong to establish APG’s first office in Asia Pacific and has since been responsible for managing the infrastructure investments in Asia Pacific. Prior to working for APG, Mr. Aerts was a Senior Portfolio Manager at ABP. He joined ABP in 2001 and has since worked in various areas, including infrastructure, structured finance and global equities. Mr. Aerts is a CFA charter holder, and holds an MSc in Economics from the Erasmus University Rotterdam in the Netherlands. He has co-authored “Introduction to Infrastructure Investment” and jointly translated “Behavioral Finance and Investment Science: What makes money move?” both published by Nikkei Business Publications Inc. 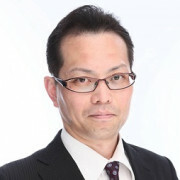 He holds an MBA from the Graduate School of Finance, Accounting and Law at Waseda University and is an adjunct researcher at Institute of International Real Estate Studies at Waseda University. He is also a Chartered Member of the Securities Analysts Association of Japan (CMA). 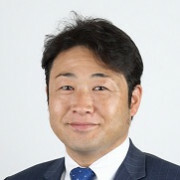 Takeshi Ito is COO & Senior Investment Officer of AISIN Employees’ Pension Fund. Ito has been supervising the investment and management of the pension’s funds since 1998 when he joined Aisin Seiki Co., Ltd.
Mr. Ito started his career at Nomura Investment Management Co., Ltd (current Nomura Asset Management Co., Ltd) in 1991 as an economist who oversees macro-economic research mainly covering US and Europe. Ito also oversaw interest, currency exchange and asset allocation. From 1997, he reported directly to the CIO and was responsible for bond and stock markets, asset allocation and risk management. Mr. Ito holds a B.A. in Political Science and Economics from Waseda University and is also a CMA, CIIA and CFA. Takako Koizumi is Head of Infrastructure at Tokio Marine Asset Management. She joined Tokyo Marine in 2016 where she acts as a gatekeeper for Japanese institutional investors. Prior to joining Tokio Marine, she worked for Resona Bank from where she started infrastructure fund investments for Japanese institutional investors in 2009. 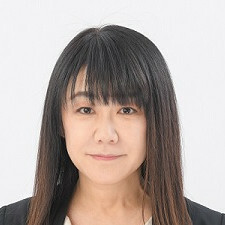 After graduating university, Ms. Koizumi started her career with Citibank in banking and M&A industry, after which she shifted directions to the real estate industry at CBRE, GE Capital, and Citibank where she was involved in a wide variety of business such as advisory, acquisitions, securitization, and lending services. She holds a B.A. in Economics from Aoyama Gakuin University and is a Certified Real Estate Appraiser. 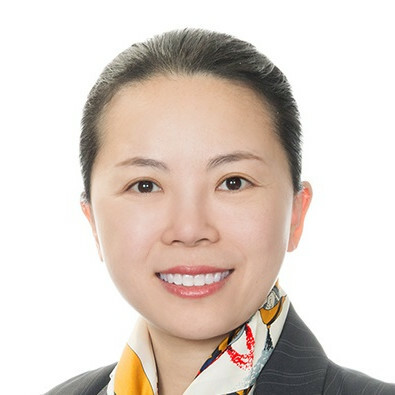 Shinichi Nao has been the CEO and CIO of Marunouchi Infrastructure since it launched Japan’s first diversified infrastructure fund in 2017. Before Marunouchi Infrastructure, Mr. Nao served in various positions within Mitsubishi Corporation’s infrastructure business for 24 years and recently played a key role in its bids for infrastructure privatization in Japan. He was seconded to Global Infrastructure Partners (GIP) from 2007 to 2014, where he engaged in investment and asset management in the energy and transportation sectors, with particular focus on airport investment in the UK. He was also involved in GIP’s marketing and investor relation activities for Japanese institutional investors. He began his career in Mitsubishi Corporation’s Oil, Gas, & Chemical Project Department, where he managed project finance transactions for energy infrastructure development projects in emerging markets. He received his LLB from Hitotsubashi University. 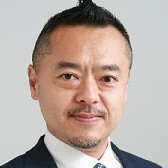 Yasuhiro Ono is a Director at Private Equity Department of Japan Post Bank. Having participating in establishment of infrastructure program, he is responsible for fund investments and co-investments across all infrastructure strategies globally. Prior to his current position, he has been with Mitsubishi Corporation, the largest Japanese trading and investment conglomerate, for almost fifteen years where he was heavily involved with strategic investments and business development. During this time, he was also based in the US, Bermuda, China as well as Japan. He further supplemented infrastructure investing by also undertaking academic research through an Engineering Ph.D. program at the University of Tokyo focusing on innovation management. He has also received the master’s degree in public private partnership from Harvard University. Yoshihisa Otake Executive Officer, CANADIAN SOLAR INFRASTRUCTURE FUND; CEO & Representative Director, CANADIAN SOLAR ASSET MANAGEMENT K.K. 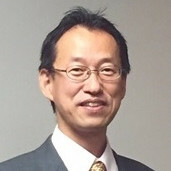 Yoshihisa Otake has joined Canadian Solar Asset Management K.K. in September 2016. Canadian Solar Infrastructure Fund has been listed in Tokyo Stock Exchange Infrastructure Market since October 2017. Prior to Canadian Solar, he had worked for Mitsui Fudosan Co.,Ltd., a leading developer in Japan, for 33 years. He had successfully led the IPO of Nippon Accommodations Fund, as Director, Chief Investment Officer of Mitsui Fudosan Accommodations Fund Management, Co., Ltd. Graduated from Kyoto University (Economics,1983) and Graduate School of International Corporate Strategy, Hitotsubashi University (MBA in Financial Strategy, 2003). USCPA (State of Illinois), CMA, ARES Certified Master. Andrew Rose is the inaugural chief executive of the Global Infrastructure Investor Association (GIIA), the membership body for the world’s leading private investors in infrastructure and the leading advisers to the sector. GIIA’s role is to work with governments and other key stakeholders around the world to promote the role of private investment in helping to close the global infrastructure gap. Since his appointment as CEO in April 2016, Mr. Rose has set about building GIIA’s relationships with policy makers around the world, growing its membership and building the evidence base on which to promote the benefits of private investment in public infrastructure. Currently, GIIA’s 65 members have $500 billion of infrastructure assets under management, spanning six continents. 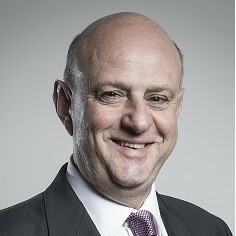 Prior to joining GIIA in April 2016, Mr. Rose held a number of senior positions in both the public and private sectors in the UK. For the 3 years prior to his current role, he was chief executive of the Homes & Communities Agency, the country’s housing and regeneration agency. He has also been Chief Executive of Infrastructure UK in HM Treasury. Mr. Rose’s private sector roles have included managing director, investment banking, CIBC World Markets, where he established and led the Canadian bank’s European infrastructure investment banking practice, and where he worked for 17 years in both the UK and USA. He was also a partner of AgFe, a leading debt advisory firm, based in London.